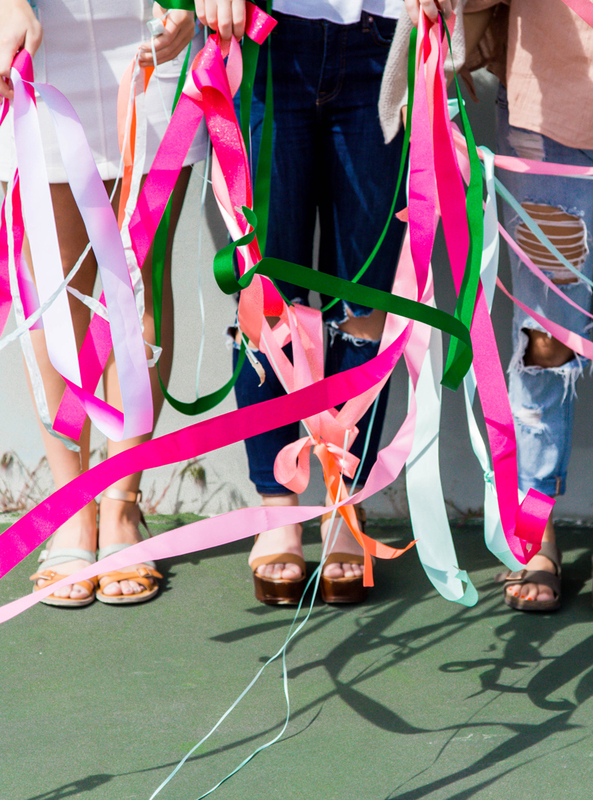 Of all the things that spring necessitates – strands of bright ribbons are at the tippy top of my list! 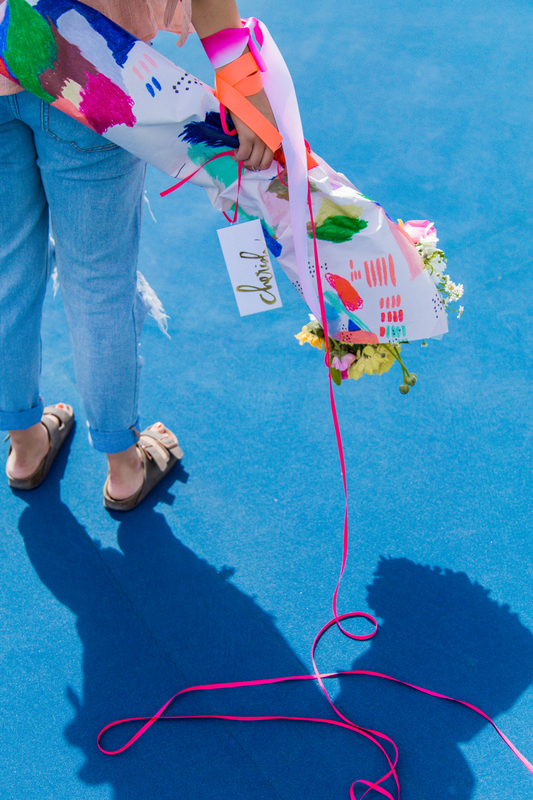 From wrapping up picnic blankets to tying up flowers for mom. 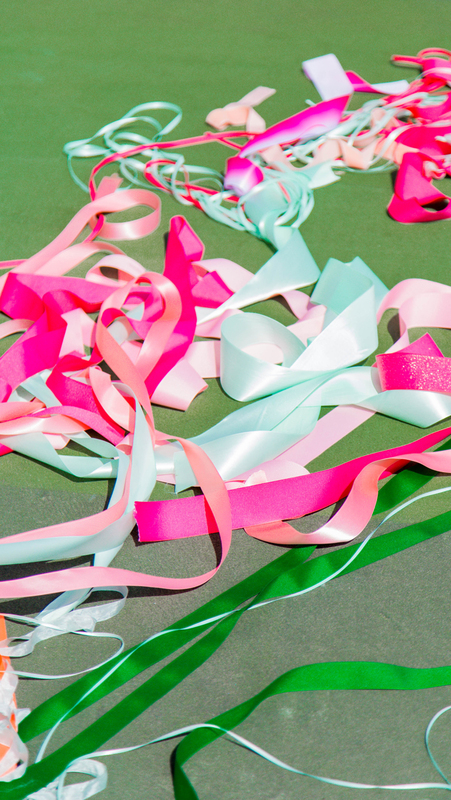 A strand of fun colorful ribbon is exactly what the latest spring party, outfit, or gift needs to be finished off in revelrous style. We grabbed some of the brightest ribbons I could find and fashioned it into little bits of inspiration. The best thing about adding a ribbon is that it takes basically no crafting skills at all. Amen to that! Anyone can create these looks in about a minute and with no creative ability needed – the pretty hues of ribbons hide all need for skill. 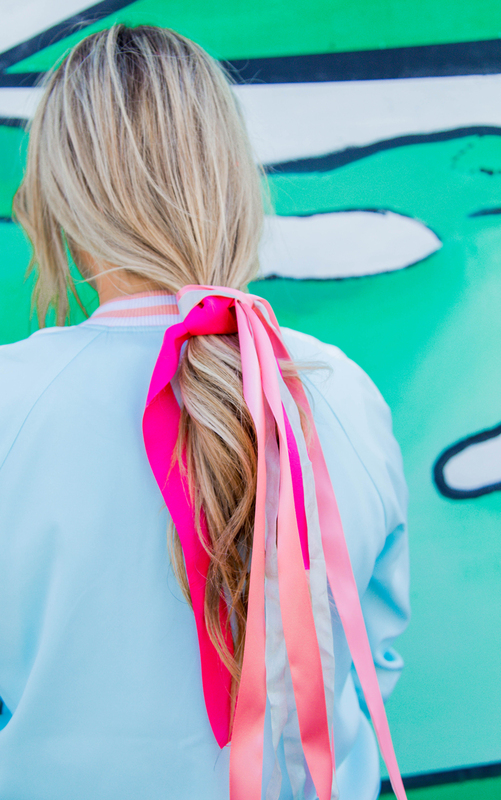 To gussy up a basic ponytail for spring a couple strands of bright ribbon quickly do the trick. A low and lose pony works best for this look – too high and you may end up looking more like a high school cheerleader and less like a color loving grown-up. I love this easy and quick little do, Let me show you how to make hair bows out of ribbon without sewing! 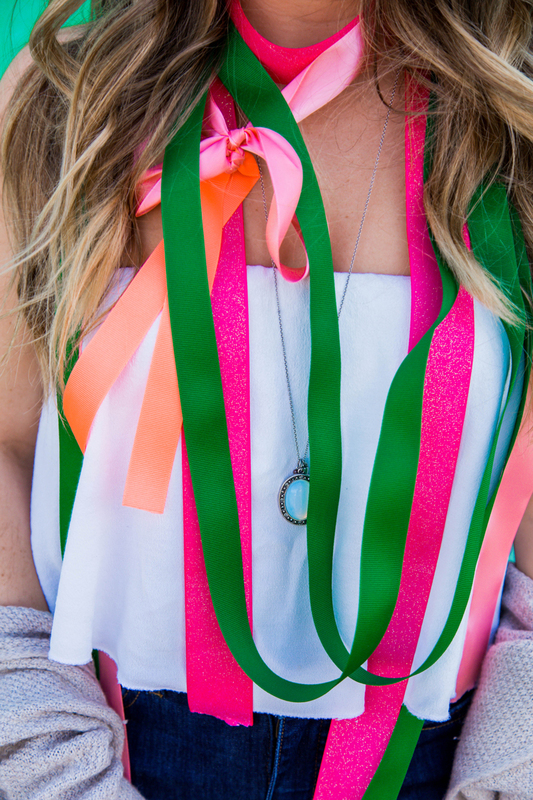 Pick 3-4 colorful strands of ribbon that loosely tie around the band to create an easy and effortless spring hairstyle. A plain shirt and jeans can be easily made more festive with a necklace of ribbon. Mimicking the stacked choker look of the season, fashioning a number of bright colored ribbons layered with a necklace or two just screams, “I’m ready to party!”. 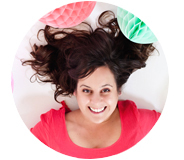 It’s a great way to take a look from school conferences and meetings to a fun loving birthday party. 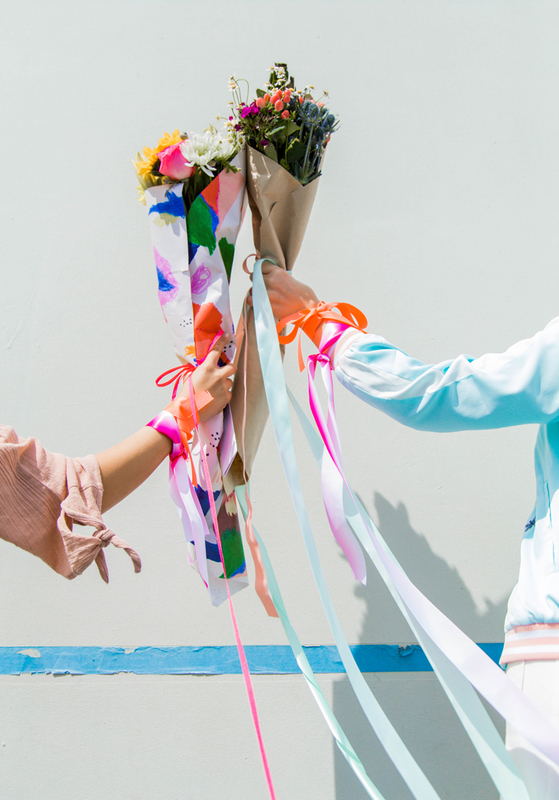 The most obvious usage for colorful ribbons is tying up a beloved bouquet for mom next week. 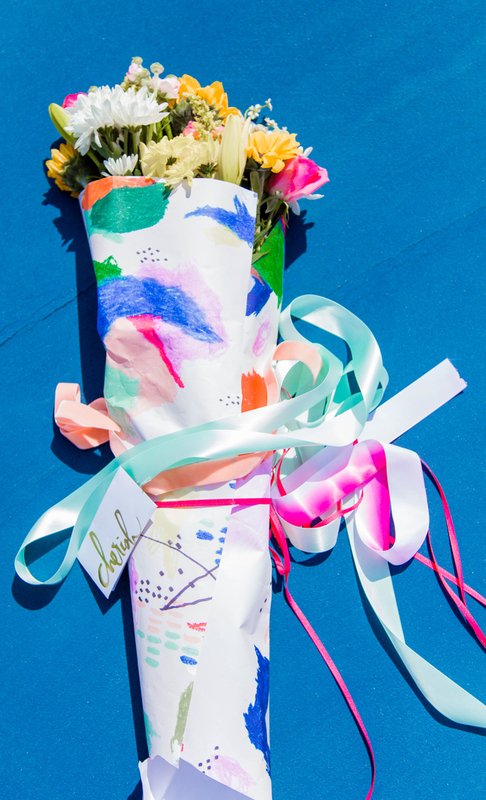 Make any store-bought bouquet look unique and pretty by wrapping it in a creative sheet of wrapping paper. 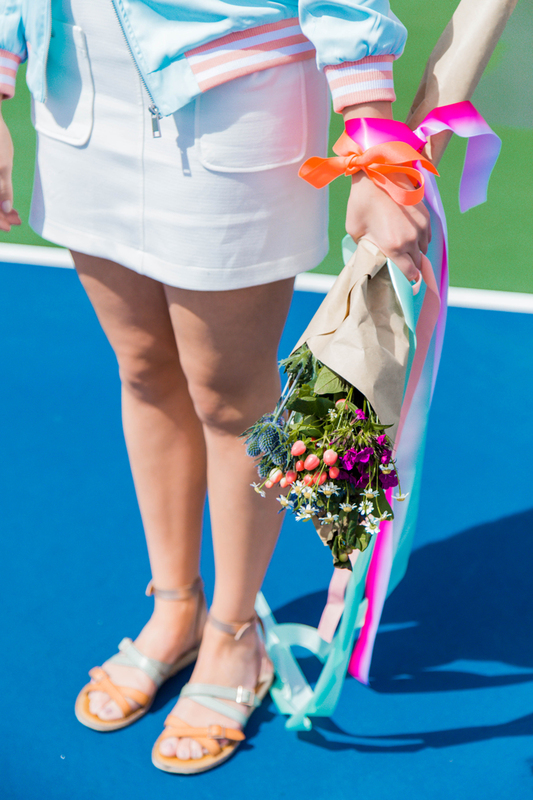 The ribbon’s bright touch turns a last minute bouquet into a gorgeously thoughtful gift. Tie on a couple bright ribbon bracelets for mom to wear in honor of her special day. No need for a large flower corsage when a few strands of colorful ribbon tied and stacked up neatly will look even better on her wrist. The colorful adornment will give mom that feeling of youthful brightness all day long. I always keep a couple strands of ribbon on hand just for these very reasons. In the glove box of the car, in the junk drawer in the kitchen, and obviously in the studio downstairs. The beauty of being able to transform just about anything with such a simple and pretty strand makes my stashes of ribbon an obvious necessity of life. 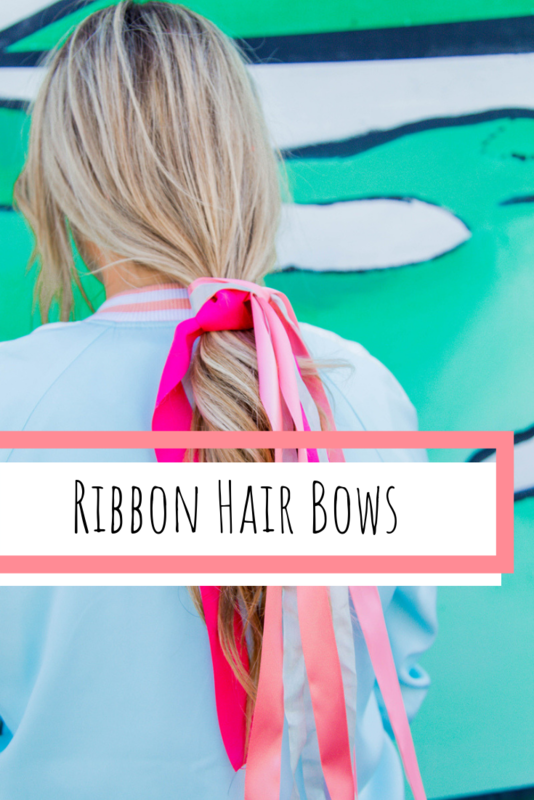 With this how to make hair bows out of ribbon without sewing tutorial is a fun and easy way to add a little color to your spring style! PS. Ribbon party hats, ribbon balloons, hanging ribbon chandeliers.